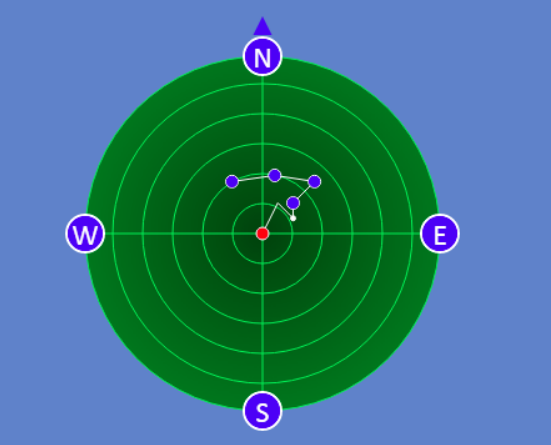 HTML5 Component developed using 2d canvas; it is used to draw a set of points as coordinates in a radar style. It is very useful to for mobile devices to draw set of points based on device current location; it also supports the rotation based in the device's rotation heading. Tested on Chrome, Firefox and Safari. Easy to integrate with geo locations set (lat/lng), you can check the attached demo. For any help about customization or usage you can contact me at haitham.mubarak.dev@gmail.com, I will be glad to help!